In a sea of white dresses, comes beautiful detailing, unique silhouettes, modern & edgy designs at this years Bridal Fashion Week. 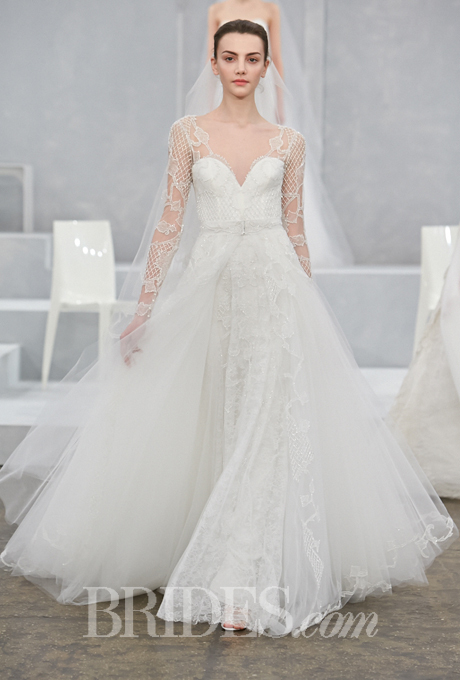 From dozens of different embellishments to any length of hemlines, looking at even just a handful of bridal collections from the likes of Carolina Herrera, Monique Lhuilllier, and Amsale will make even an absentee groom shocked at the many shapes (and shades) of a wedding dress. 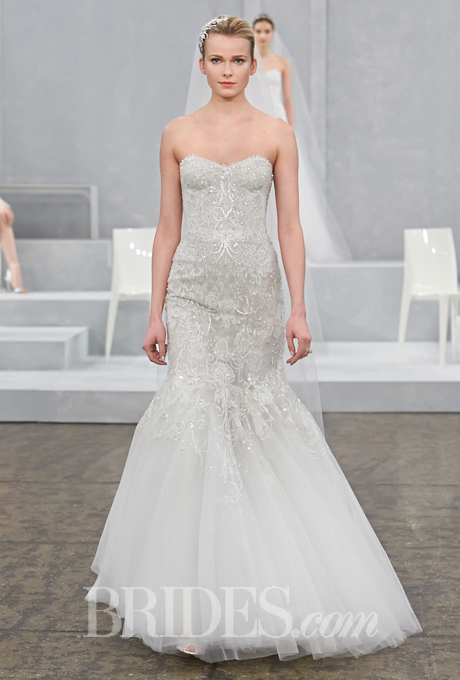 To help make sense of the Spring 2016 bridal runways, we've narrowed down all the lust-worthy looks into our top picks for the coming trends. Sultry and provocative and, as often as not, red carpet worthy, the most arresting gowns are fragile nonetheless, rendered in fabrics so weightless as to verge on the ethereal. With over 100 bridal designers featured at this seasons Bridal Fashion Week, the variety of upcoming trends can be overwhelming. Here are a few of our favorite designers and bridal collections that are sure to make any soon to be bride or fashion connoisseur dreaming of couture bridal fashion for months to come. Oscar de la Renta has been one of the preeminent fashion design houses in the world for over fourty years. Oscar's bridal collection, first launched in 2006, is designed to reflect the essence of femininity and romance - two qualities that are timeless. 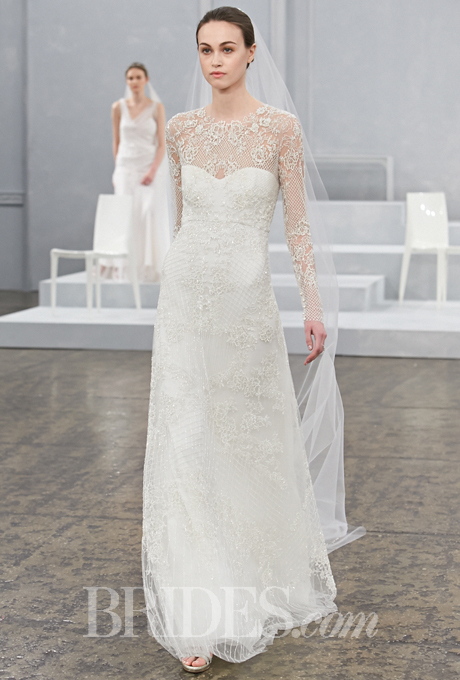 Each collection is fashioned to provide gowns that will be appropriate for different settings and different brides. 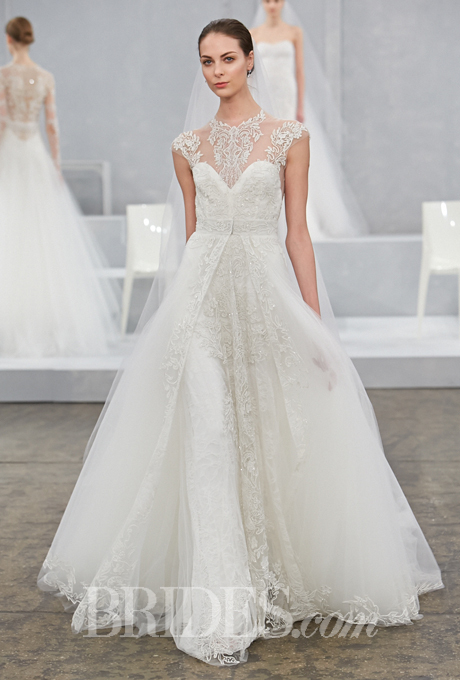 Lazaro Perez, acclaimed designer of the Lazaro Bridal and Bridesmaid collections, invokes old-Hollywood glamour by combining his signature hand-beading, embroidery, and lace with dramatic silhouettes and impeccable fit. Inspired by real brides, Lazaro personally travels to many of his trunks shows to ensure every bride and bridesmaid finds the gown that best expresses her sense of style.